As most of you may know by now, Star Wars: The Old Republic will be changing their subscription model to include a Free-to-Play option coming sometime this fall. The announced changes have many, including myself, wondering what this all means. The only thing for certain is the game will go on in some form for the foreseeable future. So far there is not a definite date as to when this option will take place. Like many of you, I find myself reluctant to change, but as for now, I plan to continue playing the game, writing about SWTOR and helping to highlight the community. In spite of many of us being down or taken back by the announcement, there are still great things we can share. One of those is our love for Star Wars. Below is one example of how the love for this franchise goes beyond one person or even a game. This is about a 5 year old boy celebrating his birthday. A young boy who loves Star Wars and from the video it seems his parents are fans, too. The boy’s father is in the military and was deployed overseas. He was not suppose to get back till later this summer, but the “Force” works in mysterious ways. See how a local group from the 501st help make this boy’s birthday very memorable in more ways than one. It kind of puts things in perspective. This week’s Community Round-up blog is up at the official SWTOR site. You can read about some of the events taking place like: Open World PVP August 5th, on the Corellian Run server, the group Fight Club is hosting 3 vs 3 tournaments on the Prophecy of Five server, and Alpha Company, on the Jung Ma server, hosted a party on Nar Shaddaa, August 1st (my guess is Alpha Company will probably host another. Be sure to check the thread for future details). Other information in this week’s Community Round-Up refers to the SWTOR subreddit and a few of the postings found there. It is a good place to get lots of information and articles about the game. 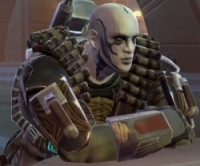 Another section in the article discusses some forum threads on the SWTOR site. Some just for fun, like one thread asking, what actor would play your character if there was a TOR movie. Who would play your character in the movie? Let us know in the comment section below. Be sure to check out the entire Community Round-Up for complete details on events and threads. If you have a server event or part of a guild/group that hosts various server events please let me know via email and see if we can get your event and group/guild highlighted in Community Checkpoint. Please send me an email at jason@corellianrun.com and include your website and event information. This week’s normal Q&A will be delayed till next week. BioWare is taking this time to field your questions about the Free-to-Play announcement. They have a thread where you can submit your questions. The plan is then to share this Q&A next week. Below is a post by Allison Berryman about this special Q&A thread. Make sure to follow rules for posting questions for the Q&A blogs, so it will better your chances of getting your question answered. Hello everyone! We’re sure you have some questions about our upcoming Free-to-Play option, and we’d like to try to answer as many as we can in a special edition of our Q&A. We’ll be delaying our normal Q&A and will bring you more in-depth answers on as many of your questions about Free-to-Play as we can next week. Please use this thread to ask your Free-to-Play questions. Please do not use this thread as a discussion or commentary thread, as we’ll be using it to gather your questions. Be sure to check out the Free-to-Play FAQ, new Free-to-Play announcement page, and comparison grid to see if your question has already been answered! Wow, can it be August already? I’m sure the fact that it is a new month is not the only issue hard to believe, given recent news in SWTOR. Best advice for now is to read the FAQ BioWare has posted on their site and keep stopping by Corellian Run Radio for your SWTOR news. Below we have this past week’s articles for your convenience. Take a break in your busy day and check out the articles. Please be sure to leave a comment on our staff’s articles. We really love your feedback and discussions. Let us know what you would like to see on the site. Declaration – panic is not an option, gamers! 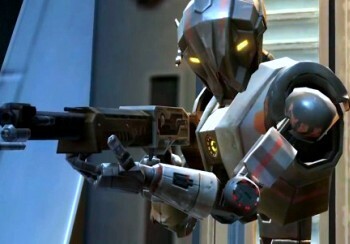 In Larry’s latest Hyperspace Beacon article, he is explaining the species found in SWTOR…the Rattataki. He talks about how he found the choice of this species a bit odd, since not much was even known about them, until a certain bald female Dark Side user was introduced in the animated TV series the Clone Wars. 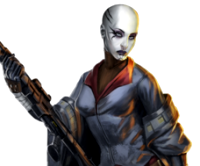 If you have played this species or seen them in the game you know they are bald with various shades of pale skin. Personally, I like the species and how they have adapted to survive in the harsh environment of their homeworld. If you want to know even more about this species, be sure to check out Larry’s article. He always does a great job providing well written and researched lore articles. That star wars birthday video made my day!